While much is made of law enforcement surveillance techniques, it must be said that some mafiosi are quite adept at avoiding detection. 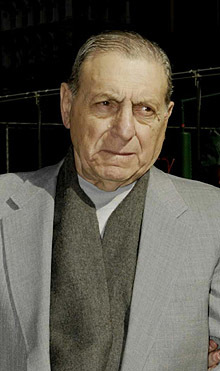 Acknowledged by a number of investigators as among the more talented is Dominick V. Cirillo, known as Quiet Dom, and said to have taken command of the Genovese crime family after the arrest and conviction of Vinnie Gigante. According to John S. Pritchard III, supervisor of the FBI's Genovese squad in the 1980s, Cirillo was an elusive target who relied on "walktalks"— whispering to associates on noisy streets, rather than using the telephone or meeting inside social clubs where federal investigators could record their conversations. "He would leave his home in the Bronx," the retired FBI expert said, "make a stop in East Harlem to visit relatives and then drive downtown and park his car on the East Side or midtown. On foot, he usually had an escape hatch, going into a building or restaurant that had more than one entrance and try to lose us." Cirillo had an excellent antenna for spotting surveillance cars and "would drive onto a highway and abruptly pull over to the side. If we stopped or slowed down, he had us made and was behind us— on our tail." In that, Cirillo was carrying on a tradition long practiced by the Buffalo crime family under the late Stefano Magaddino, who insisted his men not only spot FBI surveillance men but counter their operations. Thus the FBI was kept under surveillance as mafiosi recorded their license plate numbers and the agents names. This occurred during the period when J. Edgar Hoover's good grooming and dress code for agents was more important than tracking mob guys, and the latter had little trouble spotting their adversaries. In time they could even separate those men assigned to anti-Mafia duties and those keeping tabs on the Communist Party. Being good patriots, the mobsters did not share their intelligence with the "rotten Reds."